Rymes, Thomas K., & Rogers, Colin. (1998). 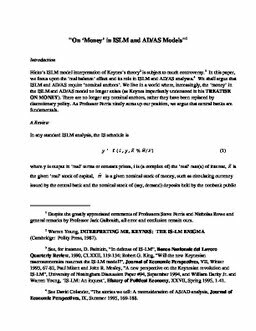 On ‘Money’ in ISLM and AD/AS Models (No. CEP 98-01). Carleton Economic Papers (CEP). Department of Economics.